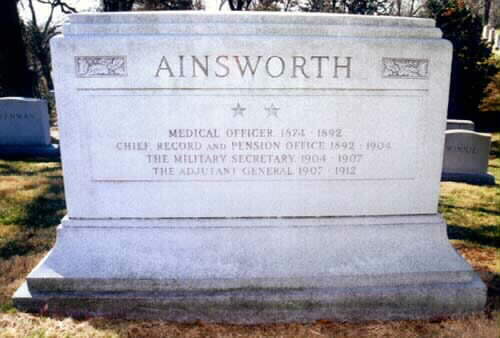 Born at Woodstock, Vermont, September 11, 1852, he graduated from the Medical Department of the University of the City of New York (later New York University) in 1874 and in November of that year enlisted in the United States Army Medical Corps as an Assistant Surgeon. He was stationed at various posts in Arkansas and the Southwest for many years, gaining promotion to Captain, Surgeon, in November 1879. In 1885 he was called to serve as recorder of an Army Examining Board, and in 1886 was placed in charge of Record and Pension Division in the Surgeon General's Office. His great success in reorganizing and streamlining work of that formerly chaotic Division brought him considerable attention from the public and from Congress, ever sensitive to veteran and pension- related matters. In 1889 the Division was made a War Department Division, taking over certain functions of the Adjutant General's Office. Promoted to Major, Surgeon, in February 1891, he resigned his commission in May 1892 to take a line commission as a Colonel and Chief, Record and Pension Office. As his responsibilities grew, so did hsi influence. Promoted to Brigadier Genral in March 1899, he was appointed military secretary over an again enlarged Department in April 1904 with the rank of Major General, and in March 1907 took over the title as well as what remained of Office of Adjutant General. He exercised that office jealously and sometimes arbitrarily until February 1912, when, he was faced with suspension from duty and court-martial on grounds of insubordination at the insistence of Secretayy of War Henry L. Stimson, arising from his dispute with Chief of Staff, Leonard Wood. He was strongly opposed to the newly adopted General Staff idea, and requested and then was granted retirement. 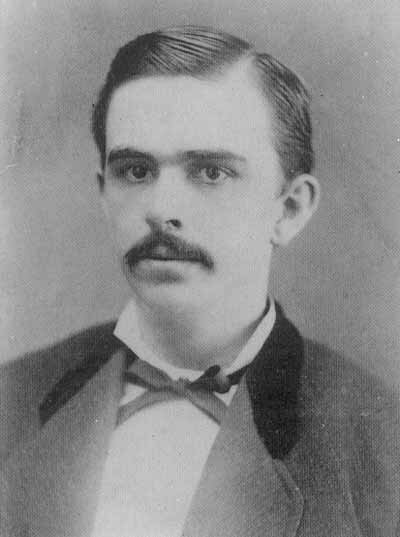 Prominent among his achievements was overseeing the bulk of the work publishing The War Of Rebellion: A Compilation of the Official Records of the Union and Confederate Armies, 1880-1901. He died on June 5, 1934, in Washington, D.C., and was buried in Section 3 of Arlington National Cemetery. 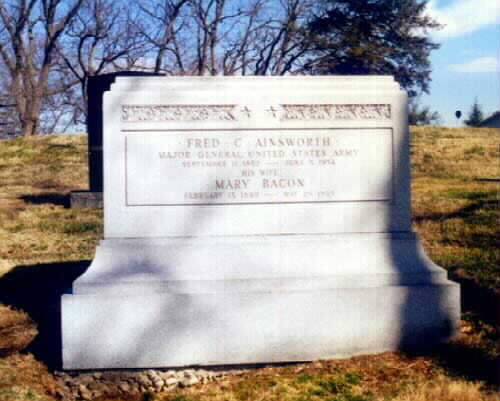 His Wife, Mary Bacon Ainsworth, is buried with him.